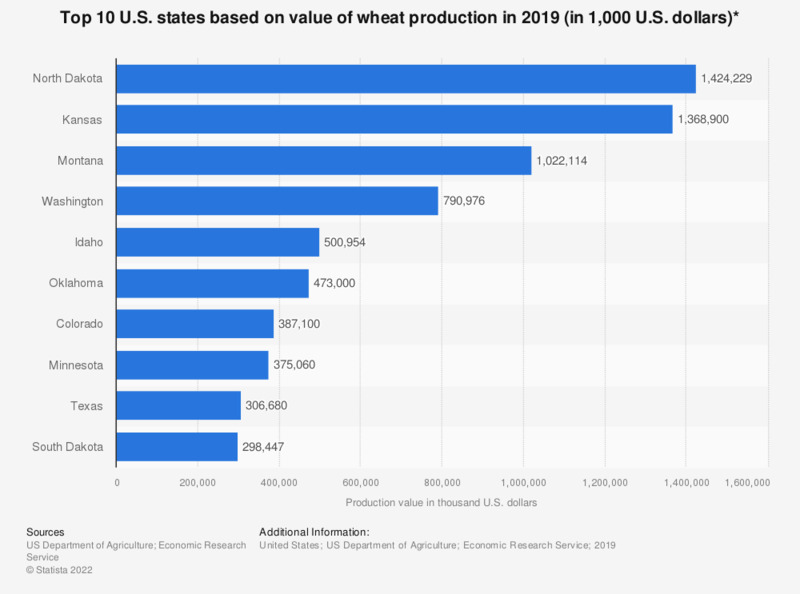 This statistic shows the ten American states with the highest value of wheat production in 2017. According to the report, North Dakota had a wheat production value of about 1.38 billion U.S. dollars that year. The total U.S. wheat production value amounted to about 10.2 billion U.S. dollars in 2015.